As more companies place their data in the cloud while continuing to gather multitudes of information from various sensors, apps, and devices, many are finding that there can be an awful lot of noise out there. Fortunately, Microsoft’s Powe BI is helping make sense of seemingly complex data sets by enabling users to craft maps, visualizations, and graphical analysis. 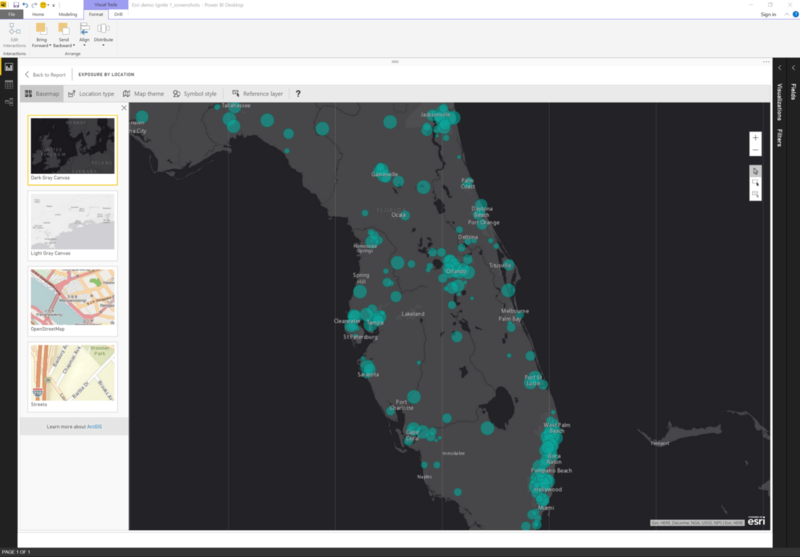 Using ArcGIS Maps for Power BI enables users to apply advanced styling properties to maps that include detailed color preferences such as degrees of transparency or fill color of the map data points. PowerBI users can also choose map themes while also selecting point based or shape based maps and adding heat maps to clustered areas. The list of additional feature benefits continues on with users getting the ability to combine layers with PowerBI data while also selecting across layers the user chooses to include. The PowerBI team promises more ArcGIS and ArcGIS related features coming to the Power BI platform in the not too distant future.